Tom Altobelli is a bass beast. He holds down the low-end in the Altobeelays, Mother Tareka and the Rebel Funktion, the Aubrey Wilson Quartet, Koopa Troop, the Scott McIntosh Trio and a whole host of other projects, performing everything from hip-hop and funk to rock, folk, Latin and, oh yeah, lots of jazz. A graduate of both the Mohawk College and Humber College jazz programs, he’s got some serious chops, which he puts to good use as one of the busiest bass players in town. Tom played at the first iteration of the Steel City Jazz Festival (with the Aubrey Wilson Quartet) and it’s an absolute pleasure to welcome him back for the opening night of this year’s festival, leading his own group and playing his own compositions, alongside Andrew King on tenor sax, Chris Bruder on keys, Jordan Snider on drums and Scott McIntosh on guitar. If you’ve somehow missed out on hearing Tom play before, this performance is the perfect opportunity to get to know one of Hamilton’s finest young jazz talents. 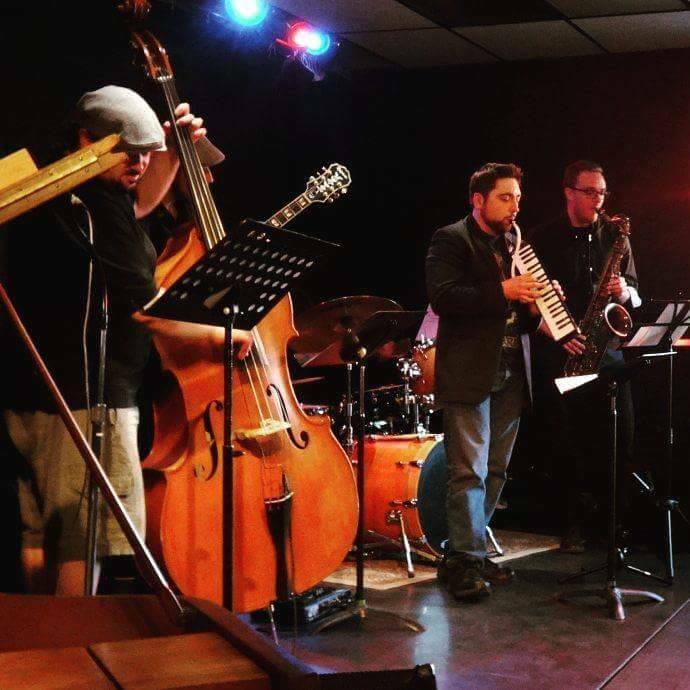 The New Jazz Compositions evening featuring the Tom Altobelli Group and the Scott Taplay Group will take place Wednesday, October 21st at Artword Artbar. Tickets are $10 at the door, and will be available online in the coming weeks. Feel free to email Artword Artbar at artword@artword.net or give them a call at 905-543-8512 to make a reservation! Previous Previous post: 2015 Lineup and Schedule Available Now!